If an ostritch comes near you he is looking for a hand out. If you do not have one - good luck. I plan to seek a lot of help and advice en route to my hug. Hopefully I can find a tame, friendly one at one of these ostrich farms. Shouldn't they be called aviaries? I tell Rambo and Myrtle that they "smell just like chicken". Indy the horse is past his prime and slowing down. When he passes my son said he was going to get 2 Emuse. He wanted a peacock but I was afraid that he could not protect it from predators. We have predators from above in hawks and vultures. We have kyoties and big cats in our area. Wow. Really, this is a very good thread. 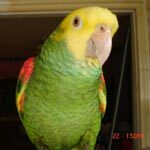 All are posted very good images.Last year I had purchased one African grey parrot from the Ahmed Bird Breeders Farm at a very affordable price. AbigailJones wrote: Wow. Really, this is a very good thread. All are posted very good images.Last year I had purchased one African grey parrot from the Ahmed Bird Breeders Farm at a very affordable price. Love this Photo of Zoltin and Me! I even got it framed. It is a very good picture. One day I met the UPS guy at the door and he asked where my eye patch was. That is a beautiful photo. So many beautiful photos on here, such a pleasure to browse through. Liz I can send you an eye patch , it goes with my Pirate flag ! That IS a great picture, Meager!